India’s first national park, the Corbett National Park has something different charm that has attracted so many visitors since ages. Set up in 1936, Jim Corbett National Park is an ideal destination for all kinds of animal lovers and for the people who are concerned about the environmental conservation. This unique destination has captured many imaginations with its diverse wildlife and breathtaking landscapes. This park is destined for tiger reserve but still a visitor can find numerous varieties of flora and fauna in the hill state of Noth India in Uttarakhand. The geographical location and the environmental factors are simply perfect for all wildlife to exist in Corbett tiger reserve. 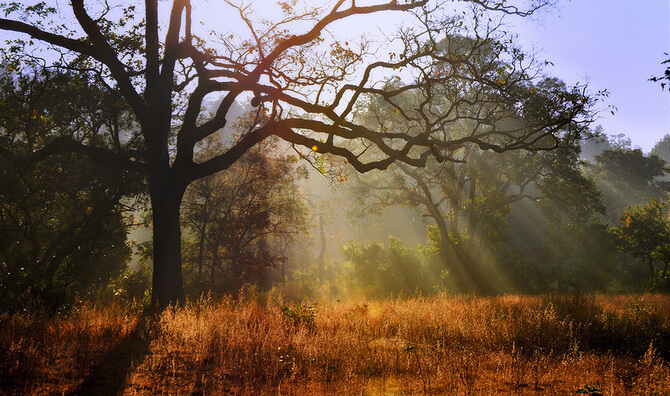 This reserve covers an area of 521 sq km and together with the neighboring Sonanadi Wildlife Sanctuary and Reserve Forest area, forms the Corbett Tiger Reserve over 1288 sq km. For the convenience of the visitors the Corbett National Park has been categorized into various zones so that they can find a suitable and perfect entry and exit in this area. A tourist can enjoy the visiting of the wild species through various safari zones and there are four major safari zones namely Bijrani Safari zone, Dhikala Safari zone, Durga Devi (Domunda) Safari zone and Jhirnai Safari zone. 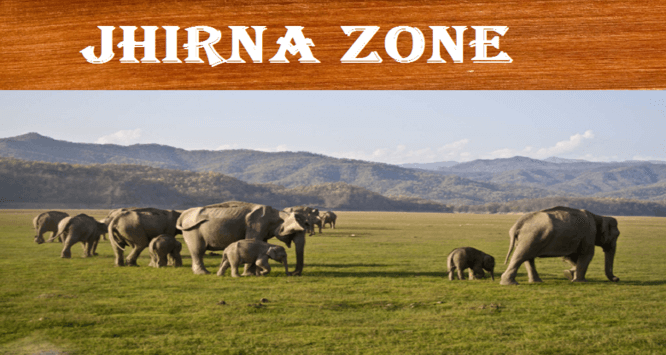 If a tourist is looking for a day visit at Corbett, Bijrani zone is the most suitable and popular one. This zone is located at a suitable distance from Ramnagar and most of the Corbett resorts perfectly making it the most convenient gate for visiting the national park. This zone is also rich in a good population of tigers and provide a good percentage of sighting to its visitors. The entry gate to the Bijrani safari zone is also known as Amadanda Gate that opens the best path for tourism, buffering and core areas. Safaris in this area is suitable with morning and evening slots. An advanced booking is necessary for the morning slots and full day jeep safaris are also available for enthusiast visitors. For much convenience, there are Bijrani and Malani forest rest house that provides the night stay facility. 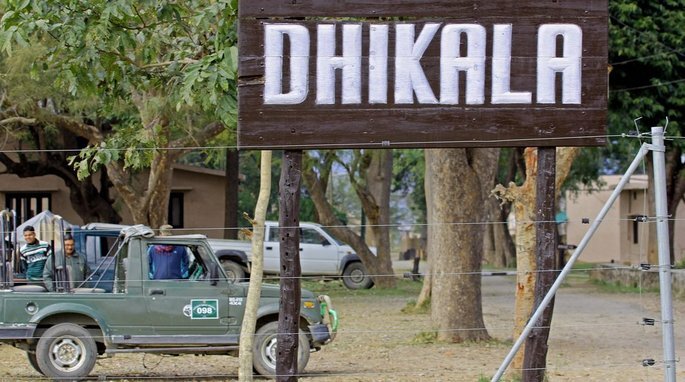 Dhikala zone is located at the edge of the broad Patli Dun valley through which the Ramganga flows in numerous channels. This zone provides an outstanding view of this valley with a Kanda ridge on its background. A jeep safari through this region will offer numerous sightings of wild animals, chital, hog deer and numerous grassland bird species and Raptors. The old rest house in Dhilkala region is a historic structure build over a hundred years ago that attracts many visitors to have night stays. The entry gate for Dhikala region is Dhangari. 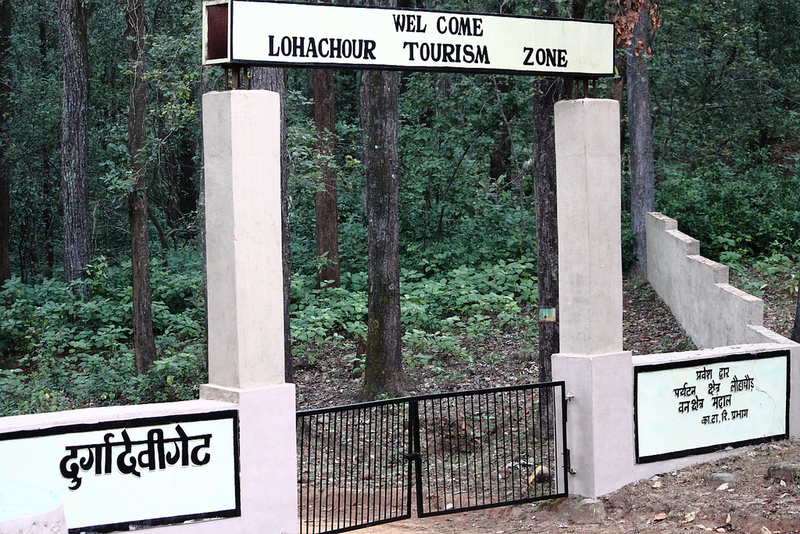 Domunda zone at Jim Corbett Park is although far from Ramnagar at 28 km but is the perfect entrance for adventure lovers. Since this safari zone is a hilly area and is situated along the banks of River Ramganga where the tourists can catch the glimpses of the popular Mahashir fish in the river waters. This zone is also known as Durga Devi tourist zone that offers the best view of the locals through jeep safari. 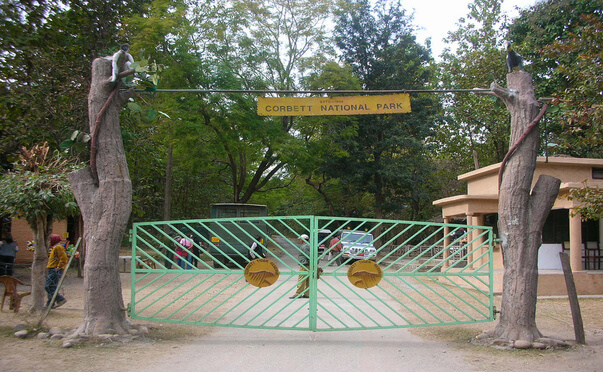 The tourists can also halt at the Corbett museum to get complete information about this famous national park. It is very essential to get the permit issued by the Jim Corbett Park before proceeding to the Durga Devi safari zone. 16 km away from Ramnagar, the Jhirna Safari zone is full of natural beauty and is famous for catching the glances of wild bears during the jeep safari. The morning trips are ideal for this location and one has to book the safari from six days before the actual Corbett safari. This is the only tourist zone which is open for all the 12 months and taking a guide along with this safari will provide you added advantage of a satisfactory Corbett National Park tour.